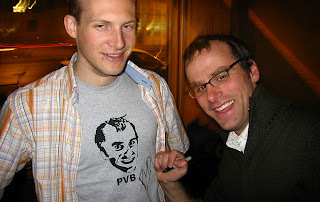 Oh sure -- you might own a PVB Shirt, but is it signed? Could it fetch hundreds of dollars on ebay, if you were foolish enough to sell it? Sadly, I am not especially drunk in that picture. Two hours later might have been a different story, though.